Despite growing productivity in many parts of the world, the average crop yields in sub-Saharan Africa (SSA) have stagnated at less than 30% of the regional potential. The low yields in this region have been attributed to many reasons; key among them being the poor soils aggravated by low fertilizer use, poorly developed agricultural advisory services and farmers in ability to access favorable input and outputs markets. Soybean production presents a great potential for improving livelihoods of these resource constrained farmers as it can grow well with limited fertilizers, fix N that can boost production of associated cereals and its market value and demands are high. 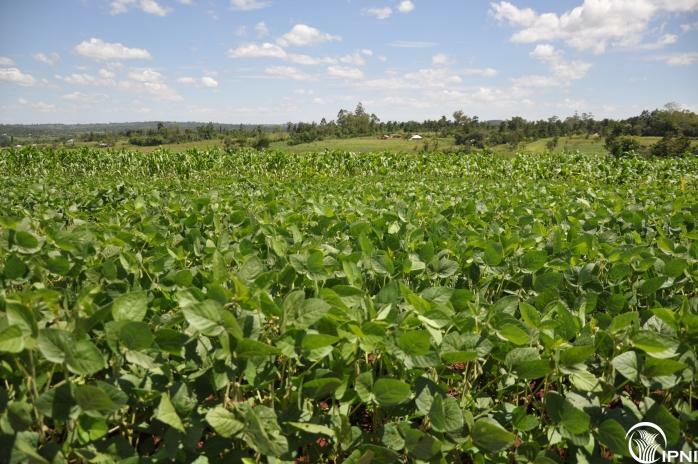 This brief draws lessons from soybean research and development work in some parts of SSA to describe the challenges for improving soy bean production in Africa, existing opportunities and potential benefits of improved soybean production.